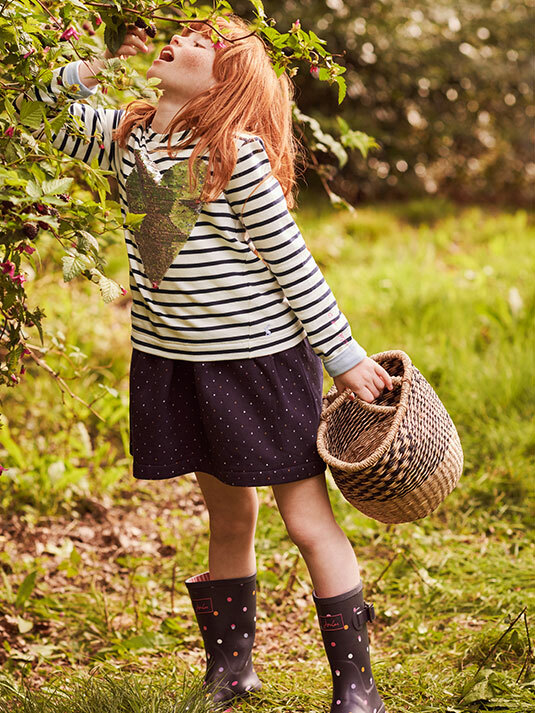 At Joules, we’re big fans of fresh air and Britain’s great outdoors. 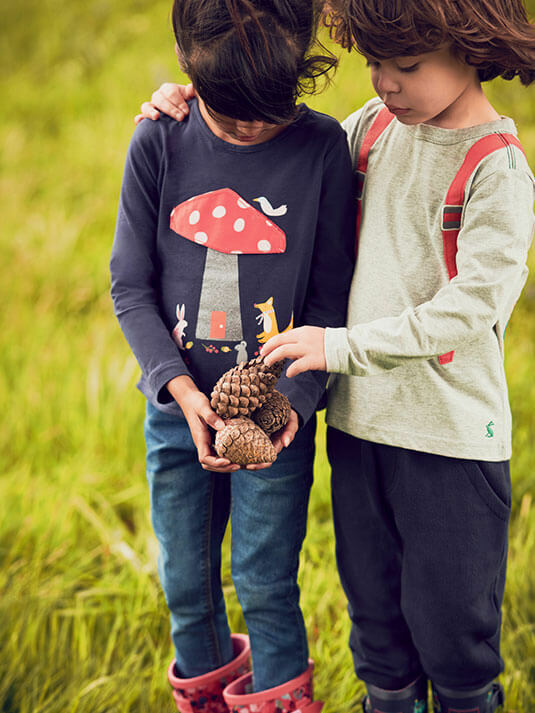 For our latest collection, we went to the woods to harvest from hedgerows, gather pinecones and forage for conkers, acorns and ferns. 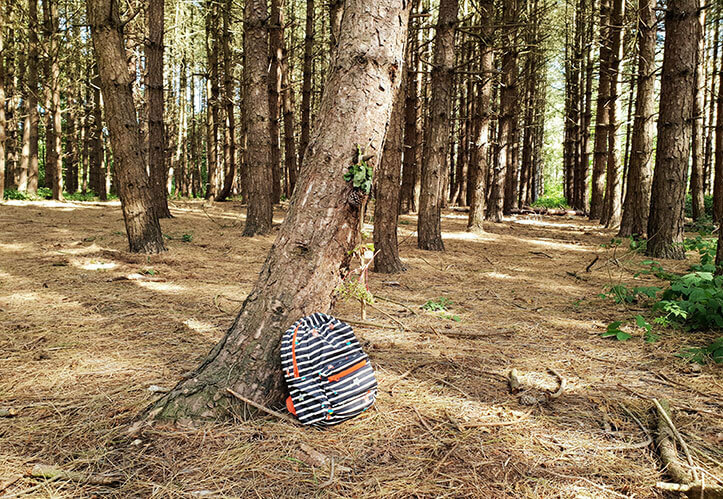 Many of the designs you love are inspired by elements from nature. 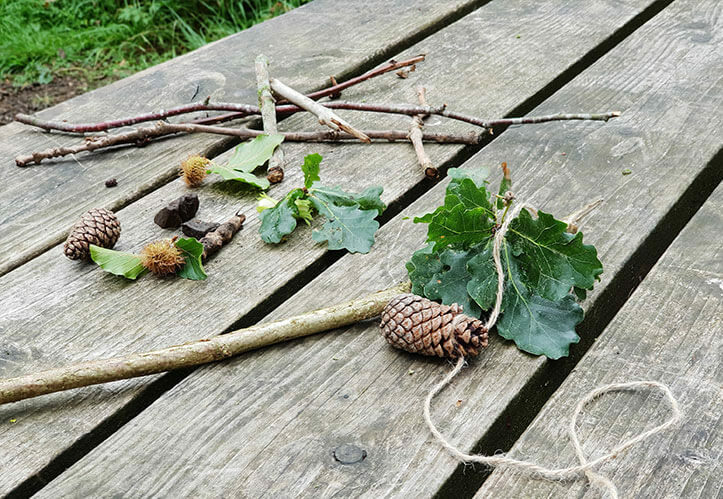 Make your own momento of nature next time you take a woodland walk, by creating a journey stick. 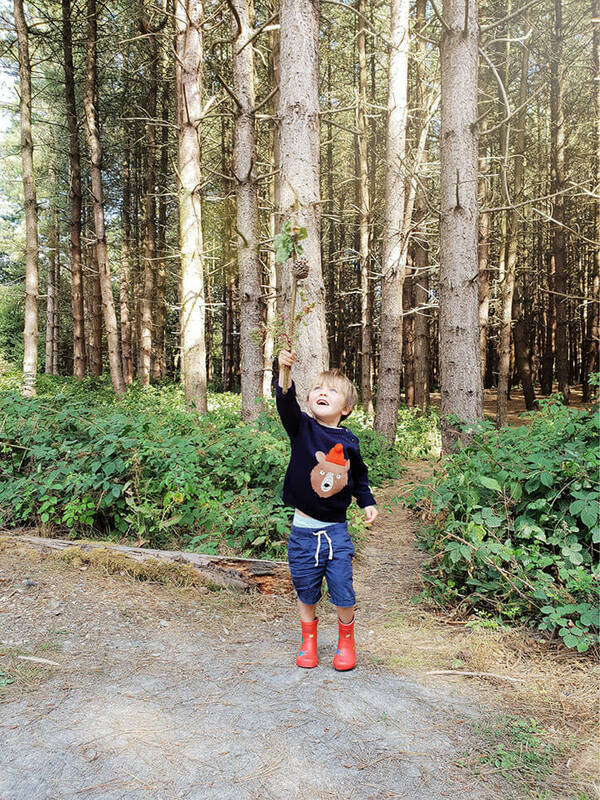 All you need is little (or big) ones eager to explore and a piece of string; it’s easy peasy. 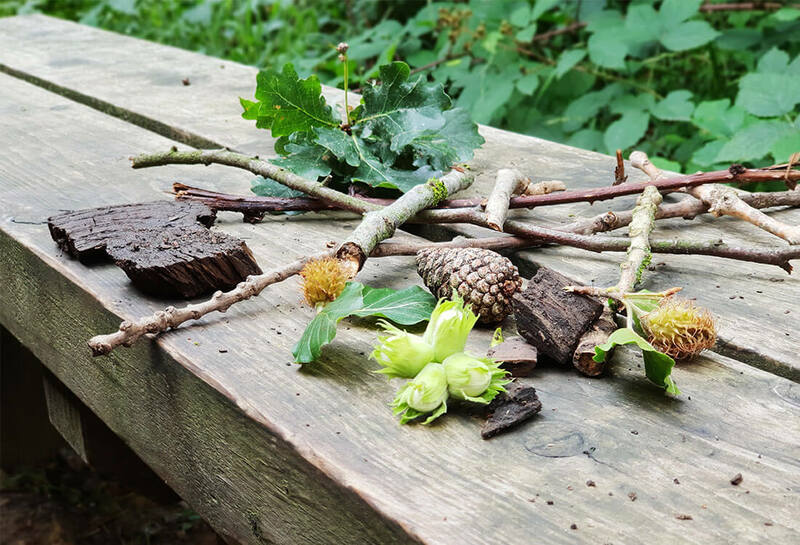 What better way to get away from screens and keep children active and engaged with all the treasures the outdoors has to offer? 5. 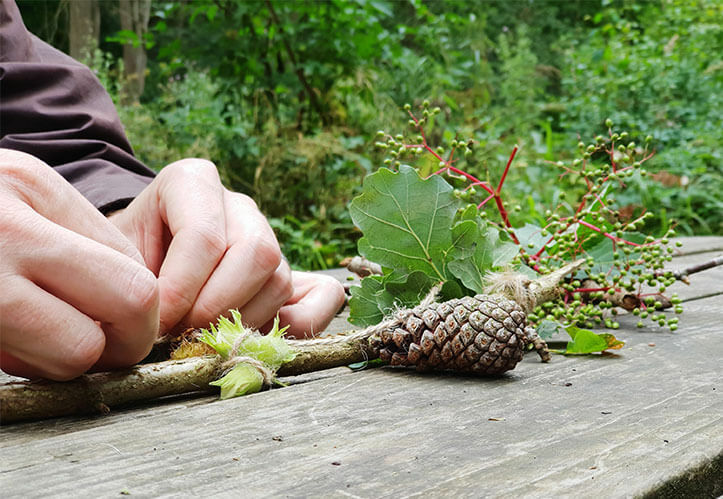 Enjoy talking through your forest finds for days to come!